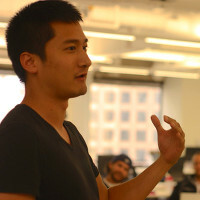 Hired Fast teaches junior developers how to get hired at tech startups. Even if you can't reverse a linked list. "After 4 months of many failed interviews, I read this in one sitting and it was SO helpful. Having an actual game plan going into interviews made a huge difference." But after dozens of applications, companies keep telling you that you don't have enough experience. You can build complete apps and have the Github to prove it, but companies aren't giving you the time of day. You have the skills, so what gives? Competition for junior dev positions is at an all-time high. As an engineer, you know there must be a solution somewhere. A better way to stand out. A better way to interview. A better way to improve your chances of getting hired. This guide gives junior devs a rare advantage in the job hunt. It provides the proven, start-to-finish framework for maximizing your chances of getting hired at any tech startup. This means more interviews and more offers. Faster job offers, so you can finish your job search sooner than later. Because each day you spend searching is more money you didn't get to make. This isn't just another algorithm practice book. 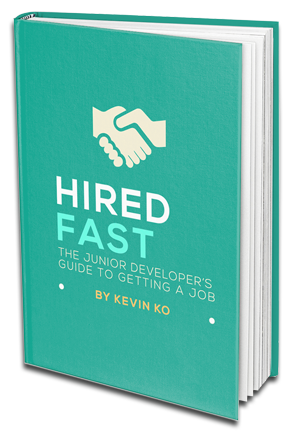 Hired Fast will teach you what every junior developer should know before applying to another company. Hi, I'm Kevin. I graduated in 2013 from Dev Bootcamp, where I learned to code. After much struggle, I eventually landed a job at one of my dream startups where I began to craft a job hunt strategy for developers. Today, I interview on behalf of startups daily and help developers around the world get hired. "The golden ticket chapter was awesome. It was surprising to learn how much auto-piloting job applications was costing me." This guide is for: coding bootcamp graduates, college graduates, and self-taught developers who want to get hired at startups without much job experience. This guide is not for you if you've just started learning how to program or only want to crack the coding interview (that book already exists). This guide teaches you the techniques candidates have used to successfully land their dream jobs. These days, interview advice is outdated. It's not about memorizing algorithms and having a neat résumé anymore. In Hired Fast, you won't learn how to traverse binary trees, but you'll master the job interview process from start to finish and become the perfect candidate. You'll get job offers using techniques adapted for the modern startup ecosystem. I've been on both sides of the table: A bootcamp graduate looking for their first job as well as a startup interviewer and hiring manager. As an interviewer, I see candidates making the same mistakes every single day. I developed this guide after years of mentoring so you won't make those same mistakes. What if it doesn't help me? Reply to your receipt email within 30 days and I'll send you a full refund. "I wish I had read this book sooner -- I wouldn't have wasted a month. The lessons in Hired Fast will stick with me throughout my career."